Email notifications help members stay in touch with other members on Connect. They notify you when a new post has been made or a new discussion started. 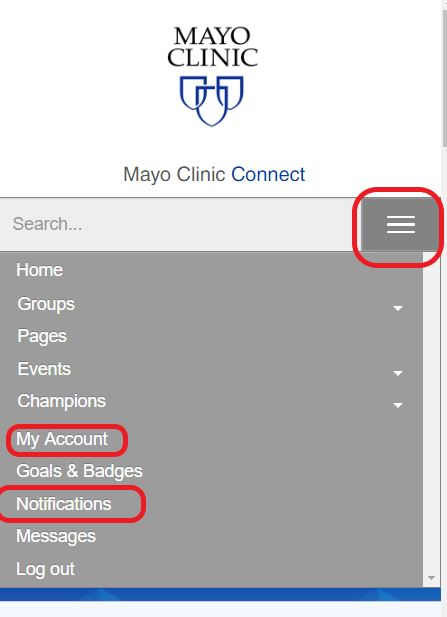 On October 1, 2018, we are updating our email servers to better handle the growing activity on Mayo Clinic Connect and improve security. The email system will work and look the same way it does now. However, as of October 1, the VIEW & REPLY links will not work in email notifications dated September 30th or earlier. 1. Review, read, respond to your saved notifications before October 1. 2. 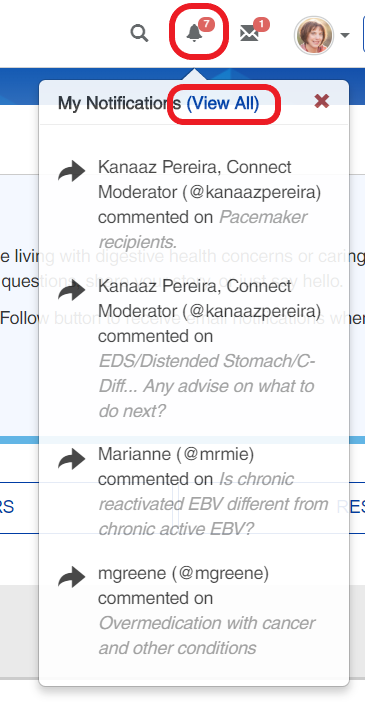 Find the post by clicking the member’s @username at the top of the notification and see their post activity. 3. Use the onsite notifications if you don’t get a chance to review the notifications. 4. Find a post by searching for key phrases from the message. 5. 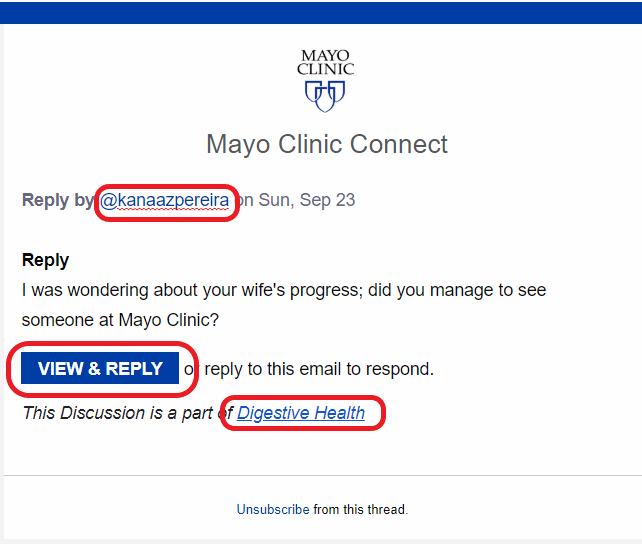 Learn how to manage your notification preferences to receive the emails relevant to you. Can anyone tell me what cream or ointment they used on their knee that helped? The email servers have been updated successfully. Your Connect email notifications are now sent from the sender @n1.hubapplication.com. Please update your “safe list” or “white list” so the Connect email notifications are not sent to your Junk or Spam or Trash folders.